Personalized Square Address Plaque 3 Line Address 11x11 - - square address sign. Made in USA. The house number line holds up to five 3" characters. The two street name lines hold up to twelve 1.25" characters each. 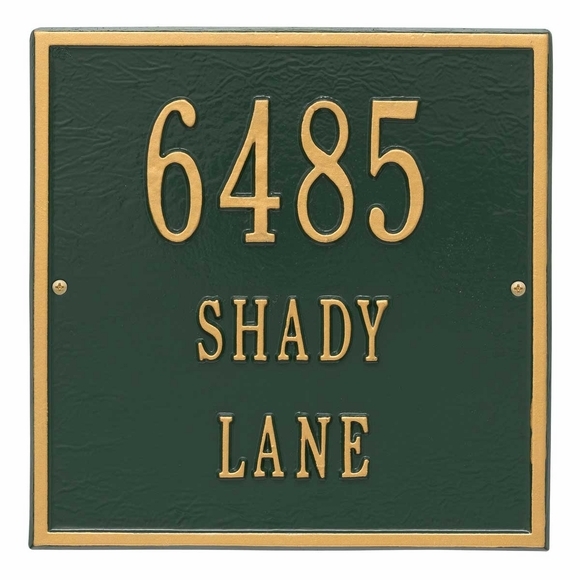 Address shown in signs above: 6485 SHADY LANE. One line, two line, or three line 11" x 11" square address sign. This sign also comes in larger 15" x 15" and smaller 6" x 6" sizes (see Related Products).